Preserved, accessible and gourmet: Pays-d’Enhaut offers the best of the Vaudois Alps to visitors looking for authenticity. 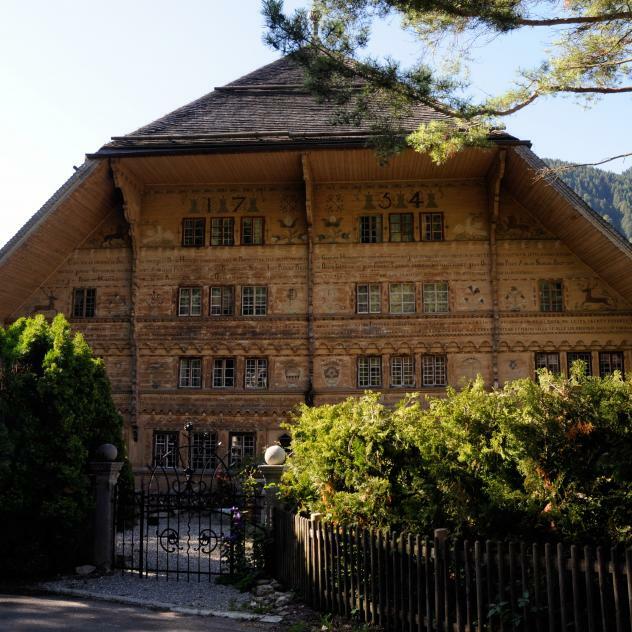 Château-d’Oex, Rossinière, Rougemont: these authentic Swiss mountain villages all have their distinct features that have been preserved until today. A short or longer visit to Pays-d'Enhaut will convince you of the region’s intactness and warmth of welcome. Nature is free and majestic here and beckons to be explored. Hiking, mountain biking, skiing, snowshoeing and even hot-air ballooning: all these outdoor activities are opportunities to enjoy the beautiful scenery. The local artisans turn the precious products of this region into fine things, above all into delicious culinary specialties mostly based on mountain milk. In the Canton of Vaud, wine tourism connects mountains and lakes, as shown by this walk which highlights local traditions and produce, as well as the wines of nearby vineyards. Discover the picturesque villages of Château-d’Oex, Rougemont and Rossinière as you answer the questions. 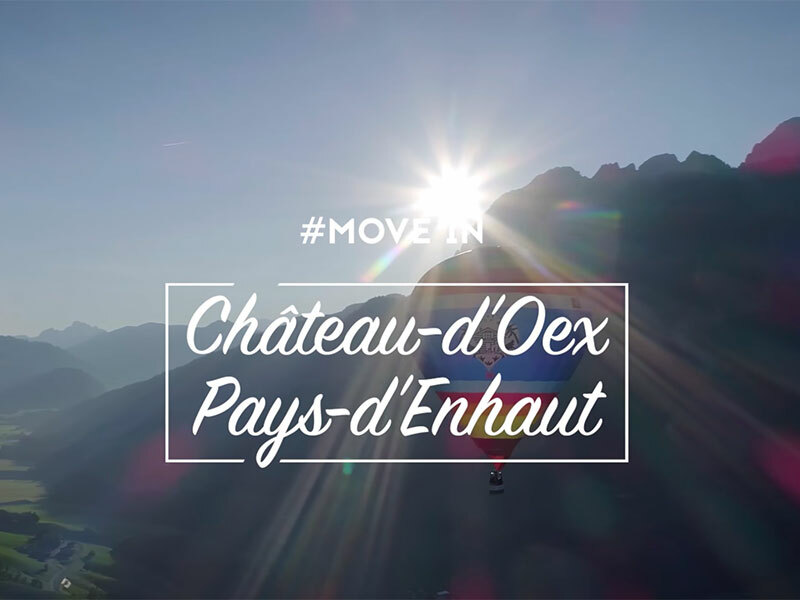 Whether you want to go on a family hike, discover Alpine plants and animals or enjoy typical Swiss food, the Gruyère Pays-d’Enhaut regional nature park, a few minutes’ drive from Montreux, offers a multitude of recreational activities. 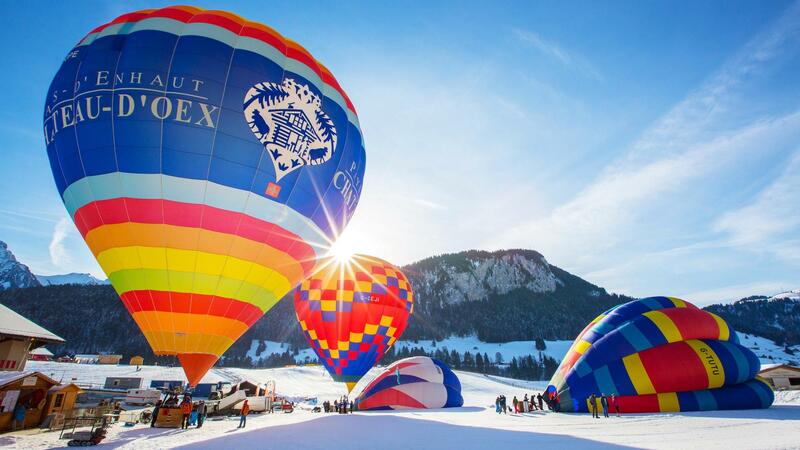 Known around the world for the International Balloon Festival, Château-d’Oex is the ideal spot to take your first flight in a hot air balloon. SkyEvent SA organises flights every day of the year (mornings), leaving from the take-off ground at the entrance to the village. Ideal for individuals, groups, families and friends, as long as weather conditions allow. The magic starts when you climb into the basket. Once the balloon is inflated it rises into the sky, light as a feather, up to an altitude between 2500 and 3500 metres. The natural setting of Pays-d’Enhaut offers the entire range of winter sports: a reputed ski area, cross-country slopes across nature and gentle slopes for beginners. Winter snow makes Pays-d’Enhaut even more magical and offers countless possibilities for sports fans. Cross-country tracks and snowshoeing paths allow you to practise these sports at a meditative pace across nature. The gentle slopes are ideal for beginners and young children. 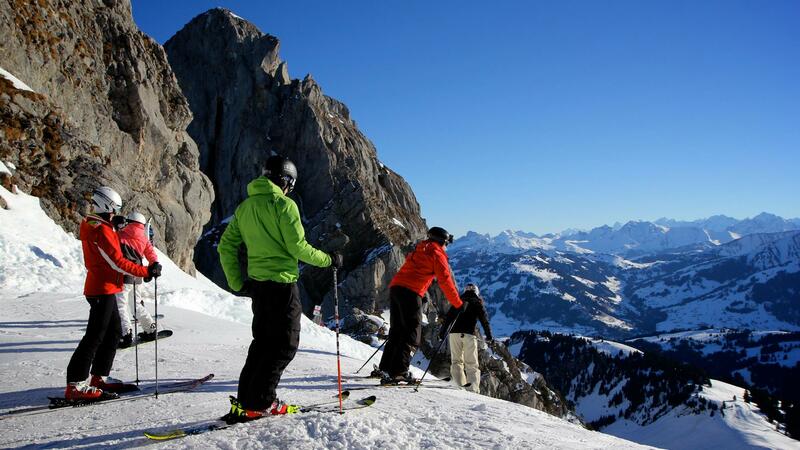 Athletes will prefer to go to Rougemont where the Videmanette cable car takes them to the famous ski area of Gstaad. Pays-d’Enhaut not only showcases its terroir products but also develops high gastronomy and wellness offers. The cows in the Alpine pastures of Pays-d’Enhaut produce milk with the good taste of the mountains. This milk has always been turned into fine terroir products. One of them is the Alpine cheese L’Etivaz AOP (PDO). The restaurants and grocery shops, but especially Maison de L’Etivaz, feature these specialties branded “Authentic Products from Pays-d’Enhaut”. As a result, there is a growing number of reputed restaurants and relaxing spas. The Alpine landscapes of Pays-d'Enhaut invite visitors to explore them in many different ways: by train, on foot, on water or even with arm muscle power. Whether you’re into sports or contemplation, there are many ways to let you fully enjoy the natural surroundings of Pays-d’Enhaut. The regional nature park "Gruyère Pays-d'Enhaut", the nature reserve La Pierreuse and the didactic trails welcome hikers while raising their awareness about the importance of preserving these nature spots. The panoramic Belle-Epoque carriages of the MOB train wind their way through the mountains but also through time. Sportspeople will find many opportunities to spend their energy here: on the paths and the water as well as along the demanding via ferratas of the Rubli. 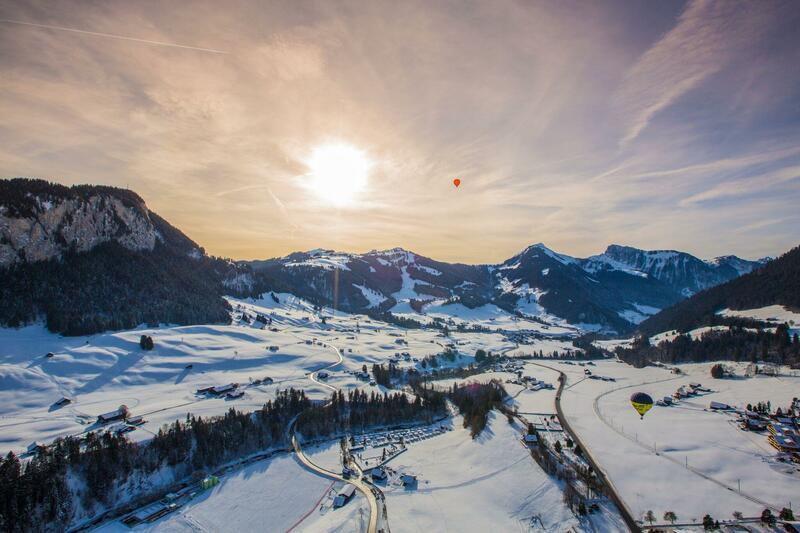 The international Hot-Air Balloon Festival, coming down from the L’Etivaz mountain pastures, terroir celebrations, children’s shows, concerts and sports competitions: the diversified events agenda of Pays-d’Enhaut has something for all tastes. The year always starts colourful and with fanfare music in Pays-d’Enhaut. The famous International Hot-Air Balloon Festival turns the Swiss capital of hot-air balloons into a meeting place for aerostiers from the four corners of the globe. Winter remains the season of sports competitions, whereas the summer festival “Children’s Land” turns Pays-d’Enhaut into a kingdom for small children. In autumn, the region focuses on music with the festival “Bois qui chante” and on traditions during the famous désalpe in L’Etivaz. Thanks to the MOB - GoldenPass Panoramic train departing from Montreux or Gstaad, Pays-d’Enhaut is a highly appreciated holiday and excursion destination. A walk around the villages allows you to discover their history and heritage. The walls here don't have ears, but they speak. So pay attention to their tales! For more information on paper cut-outs, the emblematic regional craft, follow in the footsteps of Louis Saugy along a didactic trail dedicated to him.